Mike and Jane Calvert were victors at the Merlin Rocket Craftinsure Silver Tiller open at Midland Sailing Club. The Calverts (-2,1,2) finished tied on points with Matt Biggs and Beka Jones (1,2,-3) after three races, taking the open with a second place finish ahead of Biggs and Jones in the final race. The Silver Fleet was won by Veteran Richard Dee and Nancy Gudgeon from Midland who made 5th overall, and Matt Smith and Jared Lewis (also from Midland) took the Bronze Fleet win. 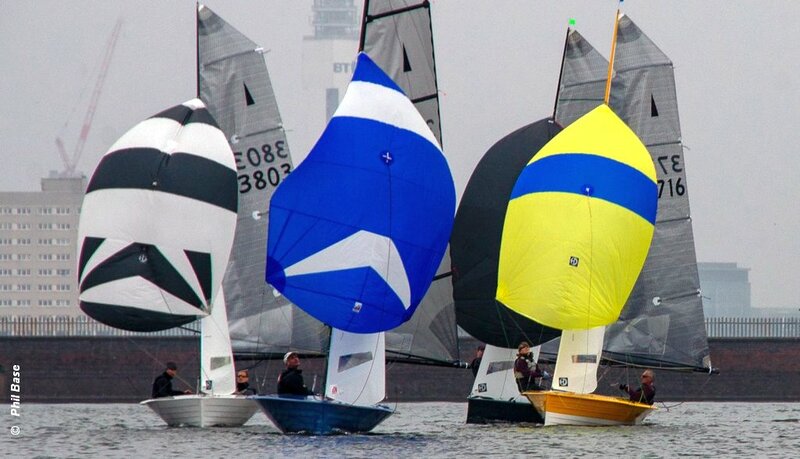 28 Merlin Rockets gathered at Midland SC in Edgbaston for the sixth Craftinsure Silver Tiller of the year. The wind gods were not playing ‘full force’ with a light c.5 knots blowing left to right down the lake, and racing took place at a genteel pace with a break for a chicken and veg lunch to sustain the hungry crews.